5th October Visit to Lanarkshire P.S. 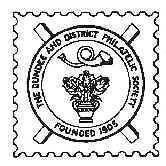 8th November Visit from Dunfermline P.S. 22nd November Visit from Scottish P.S. 29th January Visit to Edinburgh P.S. 26th February Visit to Stirling & District P.S. 28th February Visit from Caledonian P.S.